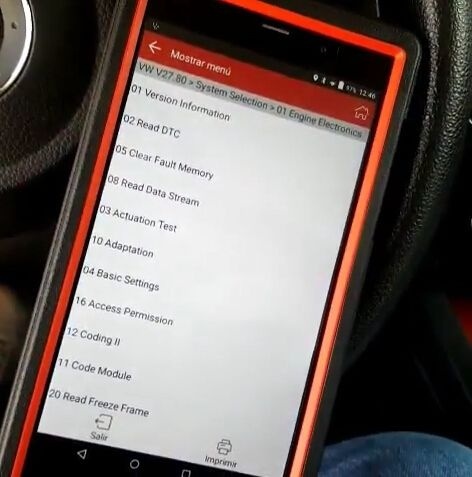 Tested it on a 2014 VW Jetta, diagnose full system, read clear engine DTC codes P0106 P3078. 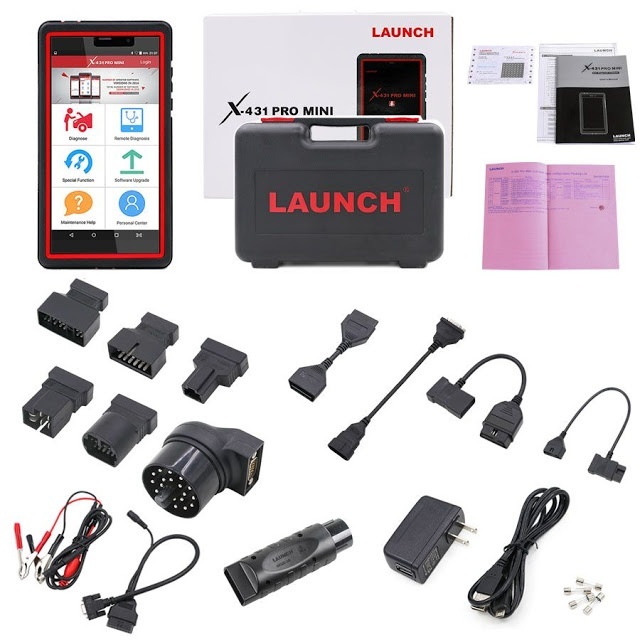 Launch X431 Pro Mini diagnose American, European and Asian cars! 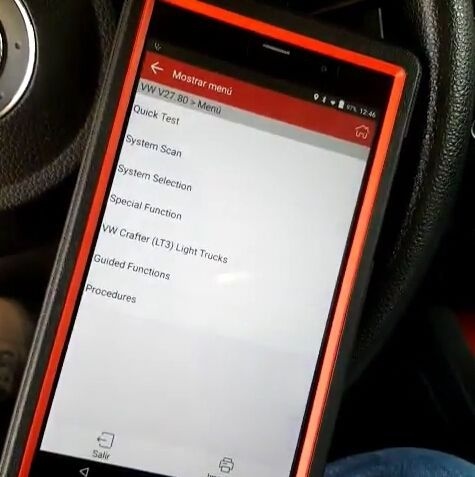 Already diagnosed many cars by Launch X431 Pro Mini Bluetooth, easy to do! 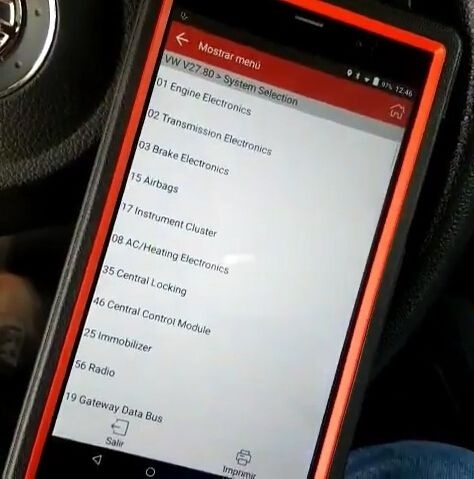 This time I diagnosed VW Jetta all systems and cleared engine DTC codes, so car back to normal. 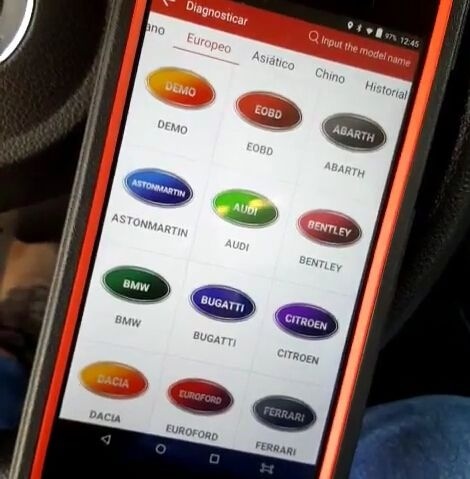 Go to Europe tab and select VW to start. 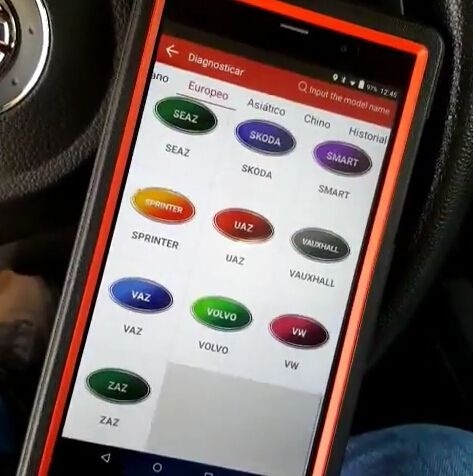 Open Launch X431 software VW V27.80. 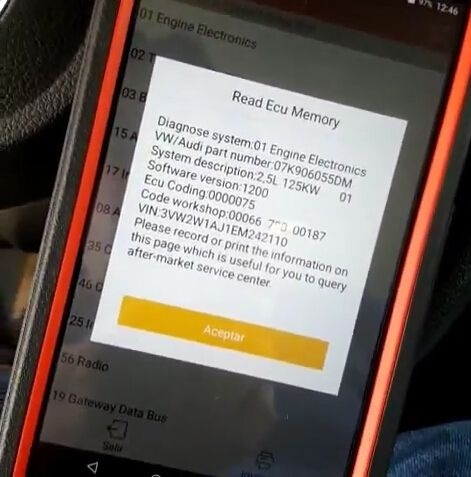 It show me ECU information and car VIN. It’s helpful! Then directly go to 02 Read DTC. 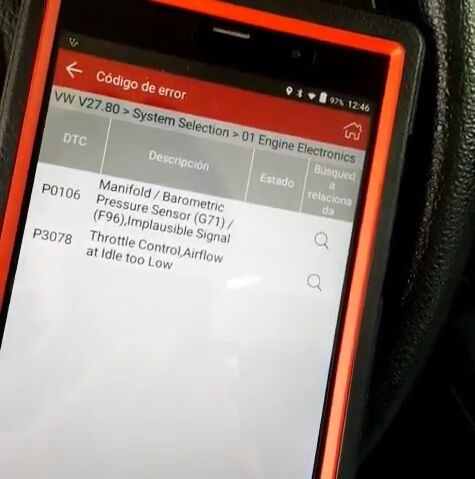 Launch X431 Pro Mini read Jetta engine DTC fault codes successfully! VW DTC P0106 P3018 and description. 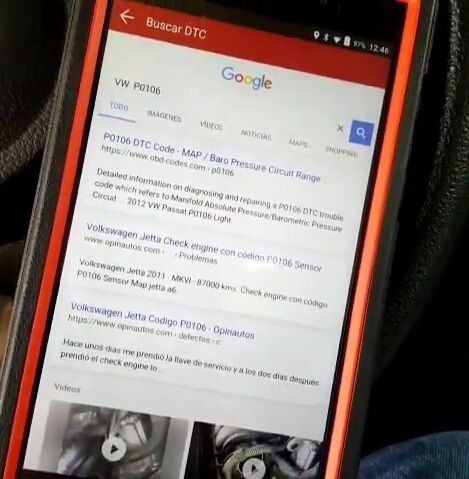 Press the Search icon at right side, I can also google the DTC codes. Last step is back to 01 Engine Electronics menu, choose 05 Clear Fault Memory and all DTC codes disappear! And also share helpful information below! 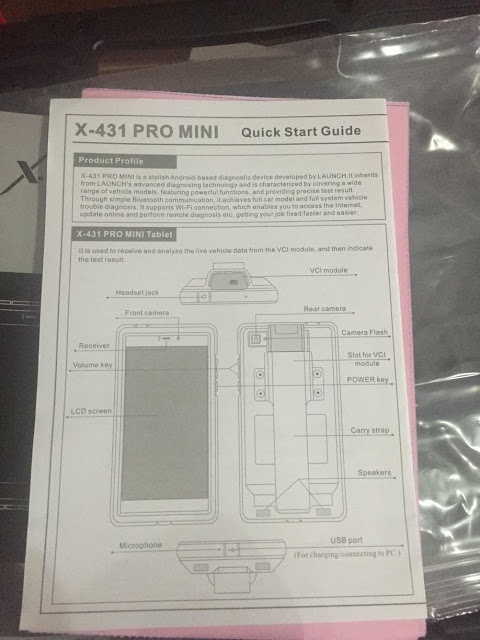 How to register and activate Launch X431 Pro Mini?